You may have seen a post recently on social media via Cheap Flights, where I shared, along with a few awesome South African Bloggers, my Top Travel Destinations 2015. I thought I would share my Top Travel Destinations featured in the post. As well as the destinations featured in the Cheap Flights post, I included a few additional international travel ideas for 2015. Although I have not been yet myself, I have it on competent authority that Turkey is one of the must-visit places for 2015. There is so much natural beauty to behold and so many exciting places to explore. 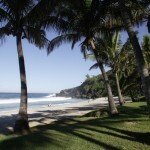 It is also an affordable holiday destination for South Africans. In itself, this makes Turkey a definite win in my book. I could not, not mention the shopping in Turkey! I would love to add a black leather jacket to my small collection, and this is apparently the place to do it, at a somewhat reasonable price! As you know, we visited Italy last year, and although my hubby got really ill while we were travelling, I am super keen to go back! It was our first visit to Italy and a long time dream of mine to travel there! We decided to stay in Rome first and then travel to Florence and lastly to Lucca. Rome is a frenetically busy city, and it was incredibly humid when we arrived. It is not for the faint-hearted, especially if peace and tranquillity are what you are after. Our B&B accommodation was well situated and within walking distance, to many of the popular attractions, which although ideal, was not for me. For future visits, I would consider renting an apartment, a bit more removed from the maddening crowds! I loved sitting at the sidewalk cafes, sipping on something cold or an espresso and just people watching! Florence on the other hand, although busy, does not have the same “big” city feel, which Rome has. We travelled to Florence by train and had a reasonably event-free trip getting there. Our B&B accommodation was gorgeous with a view over the Piazza Della Repubblica. We could just stroll across the Piazza, from our accommodation and enjoy a coffee, glass of wine or a bite to eat. The food in this region is fantastic. It can be quite rustic in places but I love that style of cooking. I would probably go back to Tuscany and Florence, for the food alone! If you are looking to purchase leather items, Florence is the spot! Forget the high street shops; the San Lorenzo market is the place! We had to bargain a bit, but it was still a fraction of the price, of high street shops. I loved Florence so much! It is such a romantic city, with fantastic food and such beauty. The only downside was we only stayed one night!!! Our trip train trip up to Lucca was not pleasant. We also got lost trying to find our villa, but the beautiful surroundings made up for the stress! Although I loved the walled city of Lucca, I did feel that our villa was a bit too remote for my liking. Being this remote proved to be a bit of an issue when we had a medical emergency. The language barrier in a smaller town also seemed to be a bit problematic, as not many people spoke or were willing to speak English – there was a great deal lost in translation! I think we will need to brush up on our Italian before we return! We made a quick stop in Pisa, literally on our way to the train station, just so that we could say we had been there and to get the obligatory snap! There is so much more of Italy I would like to see, Sienna is one area and the Amalfi Coast another. 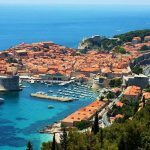 You may remember me posting about Croatia as one of my Top Dream Destinations before – well it is still near the top of the list! Croatia looks like a fantastic destination to visit, and I have heard so many great things about its natural beauty, from friends who have travelled there. With nearly 2,000 miles of coastline, Croatia has plenty to offer, if like me you are a lover of sea and sunshine. Croatia also boasts unpolluted marine areas, reflected through numerous nature reserves and 116 Blue Flag beaches. Croatia is ranked as the 18th most popular tourist destination in the world. The beaches look stunning, and I love the thought of mixing a unique cultural experience, with a beach holiday! This idea was inspired by a friend who was visiting from the UK, over December. I had never really considered it before, but the more I thought about it, the more I was intrigued! I love the idea of all the classic cars, listening to Cuban music, as well as trying the exciting fusion that is Cuban Cuisine. Cuba has something to offer everyone, from visiting historical sites to relaxing on the beach, sipping a Mojito poolside or exploring Havana’s exciting night-life. Last but not least, this post would not be complete without mentioning South Africa! More specifically the Western Cape. I know I am probably biased because this is my home ground but seriously, if you have not been, then this should be at the top of your travel list for 2015! The Garden Route and the West Coast, are my personal favourite destinations in the Western Cape. There is so much to see and do in the Western Cape! A must see is Table Mountain in Cape Town – crowned one of the 7 Wonders of Nature! Not to forget, the beautiful surroundings, stunning coastlines, diverse culture, luxurious accommodation, as well as incredible food and wine! What more could you ask for??!! These are a few of my Top Destinations 2015, there are much more but I will save that for another post! 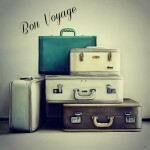 Do you have travel plans this year? 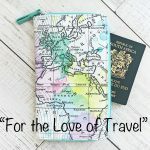 I would love to hear about them or places on your travel wishlist – so please leave a comment below! I suffer from chronic wanderlust – I have been lucky enough to travel extensively, but there are many places I would love to go to. Croatia is one of my “Must-See” places. The beauty of that coastline seems surreal. I would like to explore it, but stay on a yacht/sailboat.